The coolest halloween face painting ideas are here for you to look at also get some free face painting ideas. I'm sure I don't have to tell you how much FUN kids have with these kind of toddler activities. 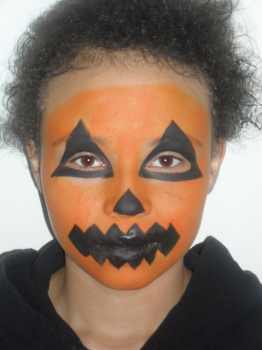 Take a look at these halloween face painting examples below and see what you think. Simply click on the links below to get easy step by step face painting pictures with easy face painting instructions showing you how to create these simple face painting designs design for yourself. 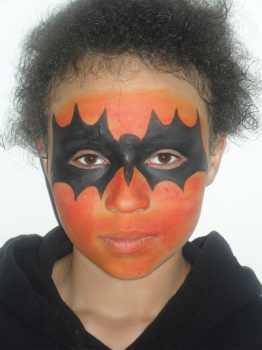 Find step be step instructions and a free face painting template for you to print off and use for creating your own halloween bat face painting right here. Find step be step instructions and a free face painting template for you to print off and use for creating your own Pumpkin face painting right here. 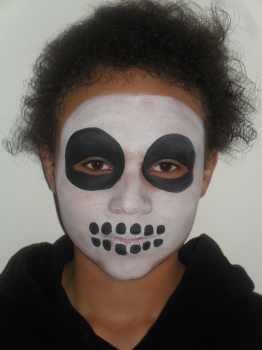 Find step be step instructions and a free face painting template for you to print off and use for creating your own Skeleton face painting right here. 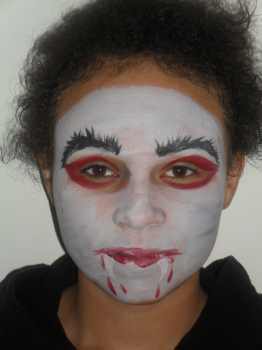 Find step be step instructions and a free face painting template for you to print off and use for creating your own vampire face painting right here. 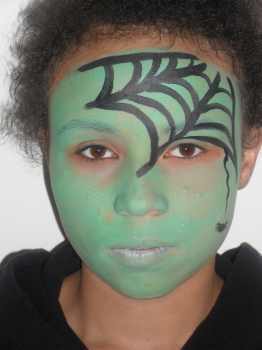 Find step be step instructions and a free face painting template for you to print off and use for creating your own Witch face painting right here. P.S.Using these halloween face painting ideas for a face painting party would be a really great way to create a party they won't forget in a hurry. It's one of those really special toddler activities that kids and adults love so much.